Finding a box that's truly versatile is a harder task that it sounds. We love custom cigar boxes because, simply put, they're classic. It's a style of box associated with cigars, naturally, but there's something both Old World and modern about it. Depending on the design, a single box style can take on multiple personalities. While the classic cigar-style box presents convenience and ease of opening, it also naturally heightens the luxury and elegance factor. It's clear to see why this is one of our most popular styles, isn't it? From a new baby to weddings, cigars (and cigar boxes) are synonymous with celebrating and good feelings. The style lends itself to presentation, begging to be opened to whomever the custom box is presented. Inlaid foil for your logo? Check. Colored chipboard to match branding guidelines? Check. Nearly anything you can think of, Sunrise Packaging can figure it out. Okay maybe not *everything* but we can try. It doesn't matter what's going inside the box. What matter is that, when the customer opens it, everything is in its place. Select an option that fits your budget and keeps your product safe. One of my favorite things growing up was a literal cigar box from my grandfather. While Sunrise doesn't deal in the wood and metal locking devices (my favorite features of my cigar box), we can utilize high quality materials. It'll help ensure that your custom cigar boxes are valued by customers for days to come. It probably won't involve early 90's Richard Gere, but we can't all be that lucky. Custom cigar boxes are our go-to suggestion when it comes to a box style that conveys instant luxury and nostalgia. Everyone has a memory involving a cigar-style box. It's our job to make it's a positive one. Contact a representative today to learn more about finishing options and putting your own spin on this classic style. Influencer marketing, or influence marketing, is a form of marketing that focuses on specific key individuals (or types of individual) rather than the target market as a whole. Think of it as a response to the changing social atmosphere and outlets available to people. Anyone with Wifi and well-utilized device (it doesn't even have to be a computer in this mobile age) can reach millions via Snapchat, YouTube, Instagram, whatever channel they prefer. Savvy businesses are trying to engage with these people in different ways to promote their products. This usually takes the form of influencer kits. Influencer kits are a new take on a sales kit. Rather than specifically *sell* directly to a consumer, these kits are designed to appeal to a very specific market segment. They should include content that speaks to influencers and, by proxy, their audience. Construction of the kit should also embody the brand. 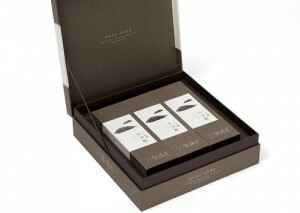 Typically, a cigar style box is used since it creates a kind of stage for the products. You can't send out influencer kits without knowing who your influencers are, can you? Brandwatch has a few suggestions for tools you can use to find influencers. At the bare minimum, they need to be involved in your field or have a relationship with your brand. You subtly enter their sphere by engaging with their content. Comment in a positive way on blog posts and like Instagram pics. Even as a brand, you don't want to come across as robotic or disconnected. That's pretty much the opposite of how to build relationships. On that note, take the time to consider their likes, dislikes, and personality features. Do they exemplify your brand, and the message you want to get across? Use this information not only to create your influencer list, but to start putting together an influencer kit that speaks to them. Start with a blank slate, a custom cigar style box. 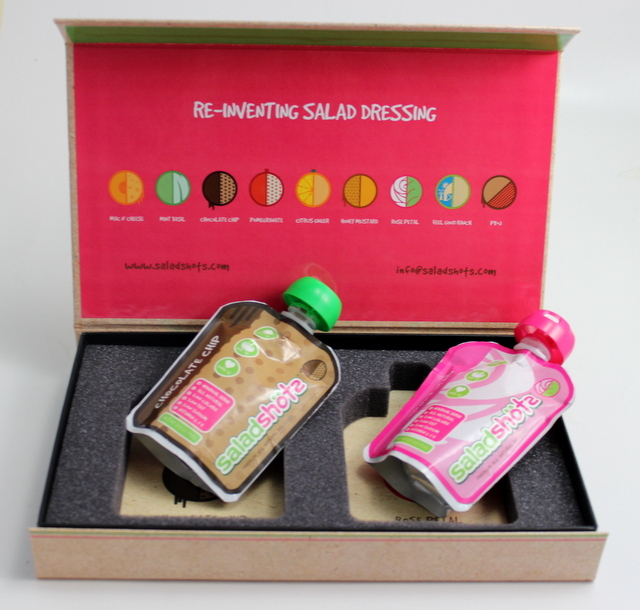 The trays inside can be customized to whatever products you choose to share. The flip-up top (which can be magnetized for extra oomph) is the perfect spot for instructions, tips, ideas, hashtags, any extra information. Contact potential influencers to gauge their interest, any fees, etc. Connect with them where they are for the first contact. As users and email filtering have become more sophisticated, it's less and less likely that they'll respond to an email sent out of the blue. It's like cold-calling: no one likes it, and it's more annoying than anything. If they're primarily active on Instagram, send a DM; LinkedIn, send InMail, and so on. If they're interested, they'll let you know. This is also a good time to figure out how much you're going to spend on influencers. Some can demand a pretty penny for a post featuring your product--see the Kardashians' promo posts, which are rumored to cost somewhere into six figures--and others might do it for the products alone. Take it all into consideration when putting together the product part of the kit. Be honest with your intentions, too. Cigar box presentation kits can be customized with a few different kinds of inserts, so products are guaranteed not to shift or break in transit. Precise, diecut foam inserts are elegant and recommended for more fragile products. 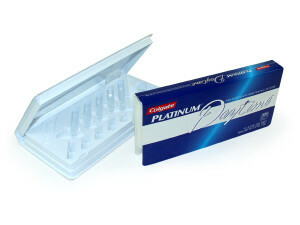 Thermoformed trays provide a frictionless fit and ideal accompaniment for electronics and inserts. By this point, you know what makes your influencers tick and built a positive relationship with them. Now's the time to deliver--literally--and the impress the pants off of them. Your products should speak for themselves, but you can delight them from the second they receive the influencer kits with some added luxury customization. Cigar boxes can withstand a lot of our custom options, including embossing, foil stamping, silkscreen printing, and more. Check out Sunrise's gallery for more ideas. Like any relationship, no one wants to feel used and abused. Continue to cultivate the relationship and show that you value them as consumers, and by extension, their followers as well. It boils down to creating mutual respect. Even if you don't plan on sending out more influencer kits (to the same people, at least), find other creative ways to engage with them. And, of course, the important part of any marketing initiative...calculating return on investment. Compared with pre-influencer kits numbers, how have things changed? Is brand awareness up? Are you connecting with a broader audience? Are sales up? Compile the metrics you use to measure success, and plan from there. And for help creating your influencer kits, contact a Sunrise representative today!